"Two demos of extreme importance for every collector of 70s heavy rock finally on vinyl! Earth are none other than the previous incarnation of Black Sabbath in 1969! The Flying Hat Band is the band Glenn Tipton had before joining Judas Priest in 1974. 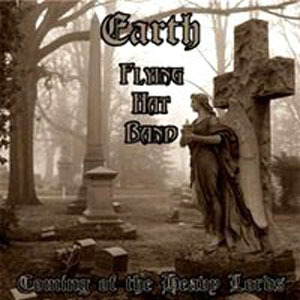 The Earth demo sessions are comprised of 3 heavy bluesy numbers and one cover of 'Blue Suede Shoes' already when they changed their name to Black Sabbath as a bonus number. The F.H.B. have a similar sound to Sabbath but also makes remember other bands of the time like Horse, Fuzzy Duck or even Hard Stuff. Four songs were recorded with good quality sound as a demo in 1973 featuring the heavy blues guitar wailing of this later-to-be Metal master.